Keeley McGuire, Author at MOMables® - Good Food. Plan on it! Keeley McGuire, Author at MOMables® - Good Food. Plan on it! Your kids love pancakes, but with so many different food allergies, it’s hard to find one that pleases everyone. Well, look no further. Our kitchen-tested and kid-approved recipe is one your family will love. Here at MOMables, we’re always crafting new recipes to help you feed your children real-ingredient, delicious food. We especially enjoy making your mealtimes a little easier if you have a child with a particular diet need like gluten-free, egg-free, or dairy-free. We don’t want you children to feel deprived just because they have to avoid certain foods; we want them to love their food! For allergy friendly meal ideas, check out our meal plans. But pancakes are tough. Sure, there’s some gluten-free pancakes or dairy-free pancakes. Finding an allergy-friendly recipe that catered to everyone’s dietary needs seemed impossible. Until these pancakes. They’re the perfect gluten free, dairy free, and egg free pancakes the whole family will devour! Check out this quick video to see how simple they are to make. These pancakes are a family-favorite breakfast rotation. They’re fluffy, soft, and utterly irresistible, especially topped with a bit (or a lot!) of maple syrup. Pancakes go beyond breakfast, though. They’re great in packed lunches as an alternative to ordinary sandwiches. Switch up your routine by making a sweeter pancake sandwich; just smear some nut butter inside, top with fruit, and voila! Don’t forget about the occasional breakfast-for-dinner treat. These pancakes are the perfect easy recipe for your family “brinner” night! 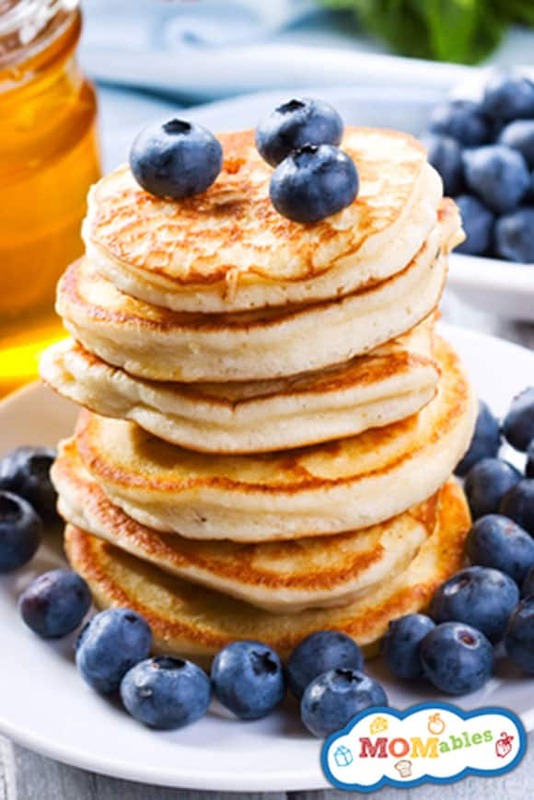 Whip up a batch of these allergy-friendly pancakes for an easy meal that caters to every dietary need and will have your whole family ready for seconds! In a separate bowl, combine the maple syrup, vanilla, applesauce, and milk. Slowly mix half of the liquid into the dry ingredients, stirring continuously, and the rest 1/4 cup at a time to avoid a runny batter. Mix until you get the lumps out of the batter. On your griddle, begin to cook the pancakes, using about 1/4 cup of the batter for each one. Not all gluten free all purpose flours are the same. For this recipe, we’ve tried King Arthur flour with the most success. You’ll find a lot of suggestions in the comments below this post with mixes and brands our members have successfully used. What do you do with all of your holiday leftovers? There are only so many times you can eat it the same way, then there comes a point where you just can’t handle another plain slice of turkey. It gets to be too much. That’s why we love coming up with creative ways to repurpose leftovers here at MOMables! We have everything you need, right here! That includes your abundance of leftover turkey in the fridge waiting to be enjoyed. 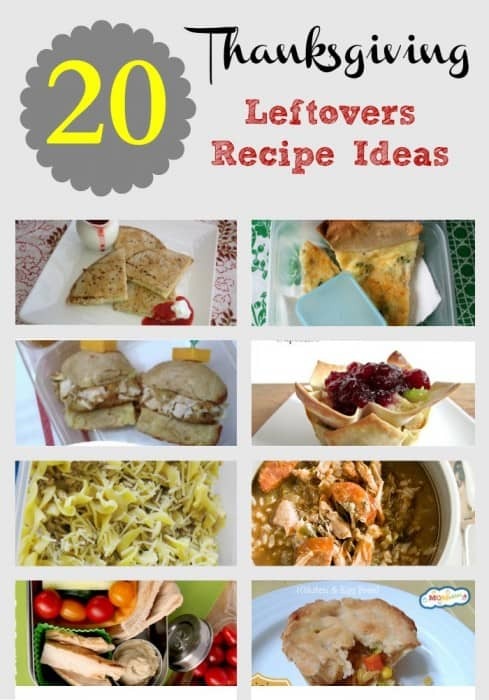 Here are 20 delicious ideas we’ve compiled from our own blog and around the web to kick-start your recipe making. 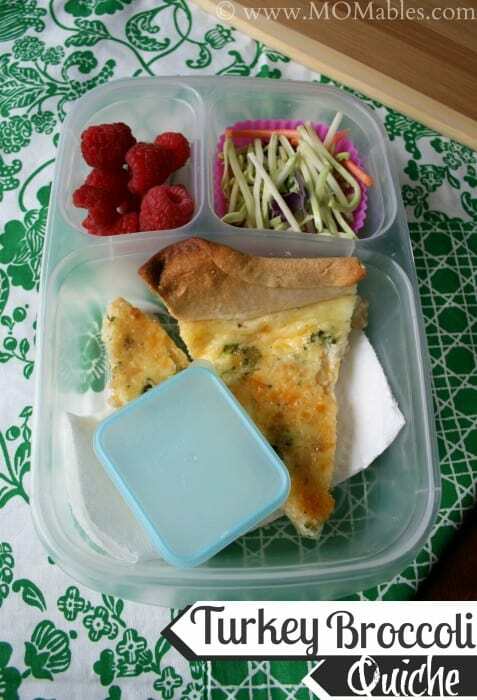 Turkey Broccoli Quiche: Great packed up for lunches, or enjoyed at dinnertime, this fresh recipe idea is a great idea for using those leftovers in a new way. Turkey Stuffing Burgers: Turn that leftover stuffing and turkey into a burger patty! Enjoy it on leftover rolls or a bun. Garnish with cranberry sauce or relish. Homemade Pasta Helper: Better than boxed! A great homemade recipe that’s adaptable for any meat, which makes it great for turkey leftovers. Thanksgiving Cupcakes: What kid can turn down any food with cupcake in the title? A fun way for the whole family to nibble on the bite-size treats as a meal or an appetizer. Thanksgiving Quesadillas: My daughter loves quesadillas in her lunch box, so this recipe will be a hit at my house after Thanksgiving! Simple and delicious. 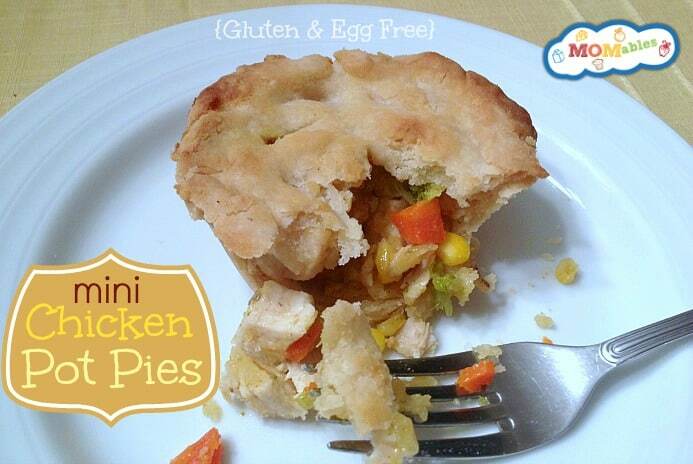 Pot Pies: Instead of chicken, dice up that turkey, and bake it in a delicious pot pie for dinner. They also freeze great so you can enjoy them in the future. Southern Gumbo: This time of year, when the weather gets cooler, there’s nothing better than a warm bowl of stew or gumbo at dinnertime. This Southern Gumbo recipe is perfect for using up holiday leftovers. Chicken & Hummus Bistro Box: This fabulous lunch idea might feature chicken, but can just as easily be packed with turkey instead. A great non-sandwich option. Stuffed Peppers: Daily Unadventures in Cooking shares an easy and yummy new way to enjoy those leftovers with their Stuffed Peppers recipe. Thanksgiving Pizzas: Not only do they look beautiful, but these Thanksgiving Pizzas by Family Fresh Cooking would also be perfect packed up for lunch! 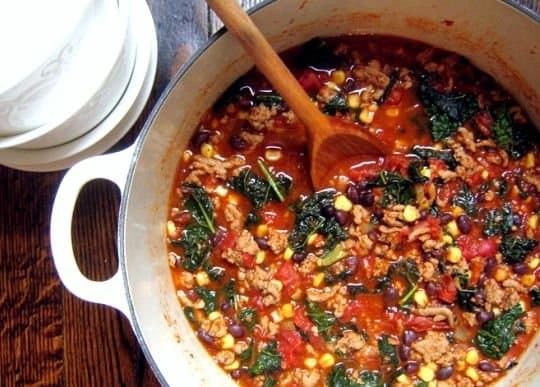 Turkey Chili with Kale: This was too delicious not to share! The Kitchn shows how to make a healthy chili with turkey leftovers. You could even serve it over rice for another spin on this hearty dish. Thanksgiving Eggs Benedict: Leftovers aren’t just for lunch or dinner. Check out this recipe for a fun twist on breakfast. Turkey Reuben Panini: Growing up, my father loved hot Reuben sandwiches. This recipe by PaniniHappy would’ve been a hit in my house. Turkey Quinoa Meatballs: Who says turkey can only be a sandwich? Turn it into a delicious meatball instead, thanks to Fitnessista. Turkey Taco Wraps: Speaking of quinoa, here’s another healthy idea–turning it into a hearty taco instead. Club Eggrolls: Use turkey instead of chicken for these easy prep, quick-fix eggrolls from DinnerDishes&Desserts. 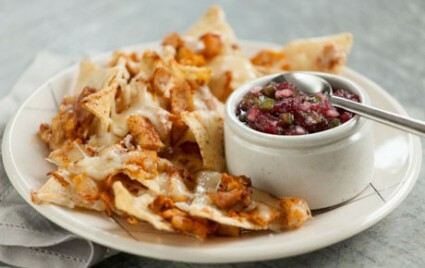 Turkey Nachos: I’m a chip addict. Nachos are right up my alley for leftovers thanks to this delish idea from Whole Foods Market, including cranberry salsa to go with it. Turkey Casserole: A great weeknight dish that you can prep ahead and bake up for dinner during your busy workweek. Turkey & Cranberry Sushi: I never would have thought to make Sushi out of Thanksgiving leftovers! This clever recipe is thanks to ClosetCooking. Cranberry Sauced Muffins: It’s not only about the turkey when it comes to Thanksgiving leftovers. Here is a yummy muffin recipe to use up that extra cranberry sauce. Thanksgiving is day of thankfulness, family, and food. Typically, in our family, we have a mid-afternoon meal of turkey, mashed potatoes, veggies, homemade noodles, and more. I’m a busy bee in the kitchen all morning, preparing all the delicious foods and attempting to meet everyone’s dietary needs in our family. Of course, that makes for a long wait for the kiddos (and even the adults sometimes). That’s why the day before I try to prep some yummy and easy appetizers that everyone can nibble on as they arrive and hang out together before our grand Thanksgiving dinner. Creamy Avocado Dip: This delicious dip recipe found on the MOMables blog is great for dipping veggies and crackers for family and guests. The avocado in the dip not only adds nutrition but also fun color as well. Spicy Roast Chickpeas: We love these popable spicy treats! Thanks goes to Alison, a MOMables contributor, for this yummy protein-packed recipe. 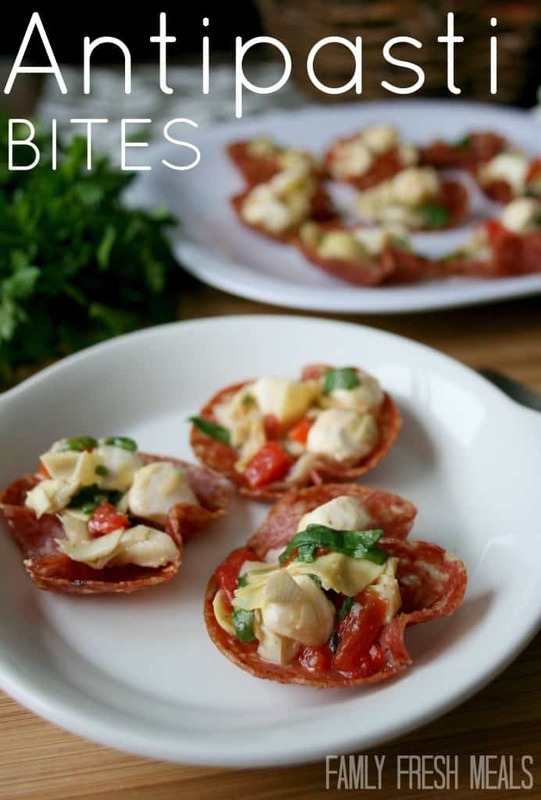 Antipasti Bites: MOMables Contributor Chef Corey is always whipping up great dinner and appetizer recipes on her personal blog, just like these Antipasti Bites. Bonus: They take less than 20 minutes to put together! Spinach Artichoke Cups: These cups are easy to assemble and fun to eat. Our recipe yields 36 of these bad boys, which is perfect for feeding your waiting army of guests. Ham & Cheese Apple Wraps: These bite-size wraps are a great grain-free option for the entire family. Always a hit with kids and adults alike. No cooking or baking involved! It would be a great way to have the kids help in the kitchen while you’re busy with Thanksgiving dinner. 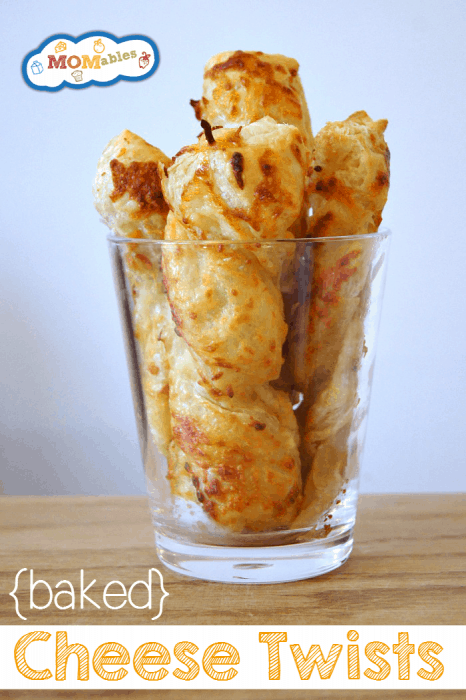 Easy Baked Cheese Twists: Easy to make and delicious to eat, these are another family favorite. I can already bet you’ll want to double or triple the recipe! Watermelon Pops: You can’t go wrong with fresh fruit. 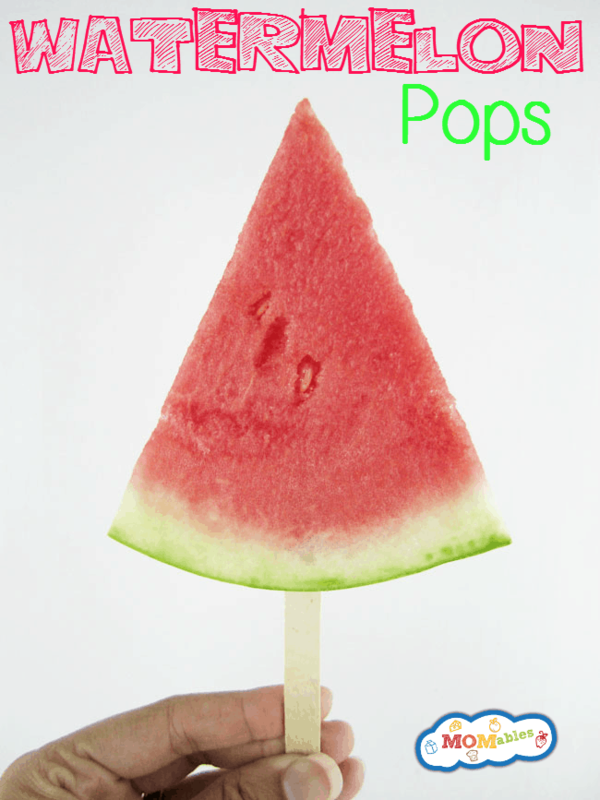 Jazz it up, and add fun for the kids by inserting a Popsicle stick into the rine. It makes it easier to eat and more fun for them. Baked Mozzarella Sticks: Another hit thanks to Chef Corey. No one wants fried, greasy sticks before a heavy meal. 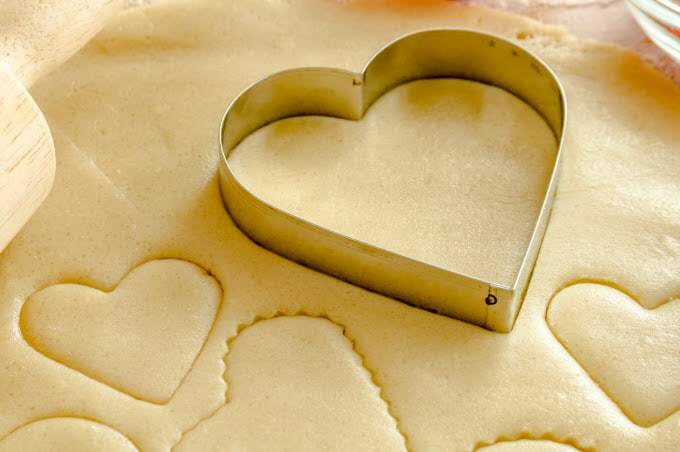 Instead bake these, and let everyone enjoy! Need a few more dairy-free ideas to keep things interesting? As food allergies continue to rise, so do dietary restrictions and concerns with what to pack for those who need to avoid milk and dairy products. 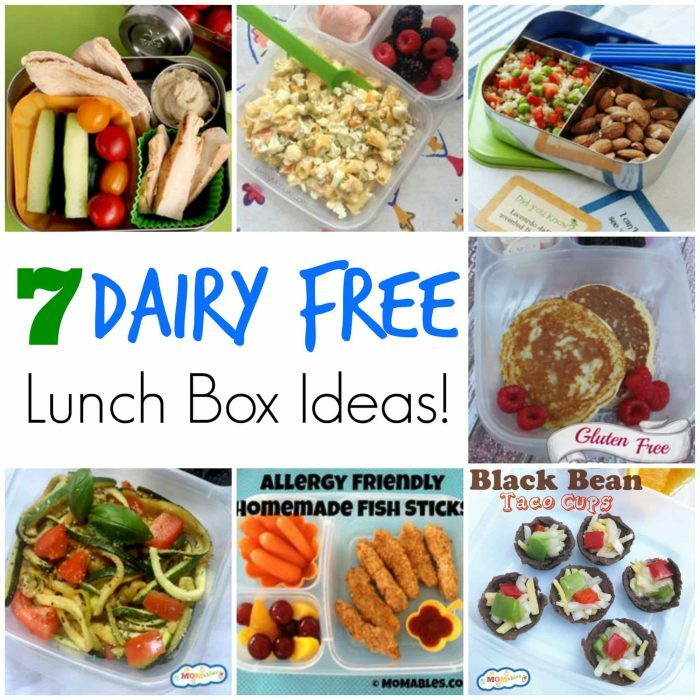 For those families, we understand the need for dairy-free lunch ideas. 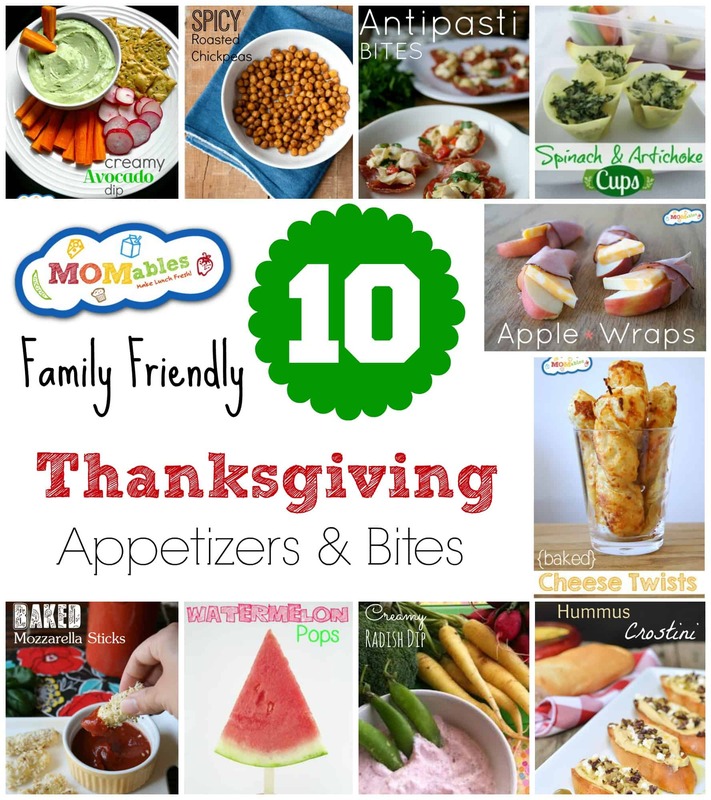 The MOMables blog is filled with allergy friendly recipes and ideas. Many are dairy-free or offer substitute suggestions. The Meal Plans offered by MOMables also have menus filled with limited or omitted options for those avoiding dairy. Chicken & Hummus Bistro Box: You know those expensive food boxes that are oh-so-tempting at the coffee shops? Make your own at home. Healthy and packed with protein for a delicious lunch. Vegan Pancakes: Breakfast for lunch is always a hit! Try our gluten-free & Vegan pancake recipe. Make a large batch to freeze for easy grab & go breakfast and lunches. Black Bean Taco Cups: These black bean bites are great to stay meatless for a Vegan lunch, or fill them with taco meat, based on your family’s likes. 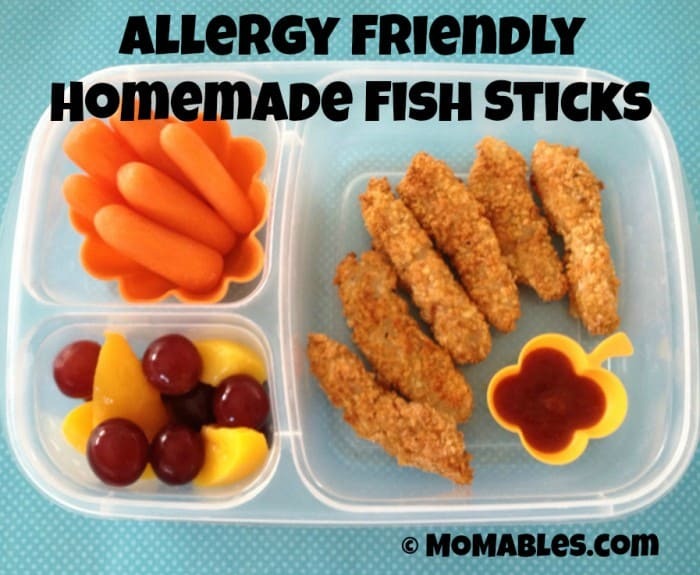 Homemade Fish Sticks: Making your own is not only healthier, but also ensures they’re safe for your dietary needs or restrictions. You’ll never believe how easy they are to make! Zucchini Pasta: “Zoodles” or Zucchini Pasta is a great way to add veggies to any meal. A grain-free and allergy friendly alternative to traditional pasta. Quinoa Salad: High in protein and fiber, Quinoa isn’t only for dinner; it’s great for lunches too! 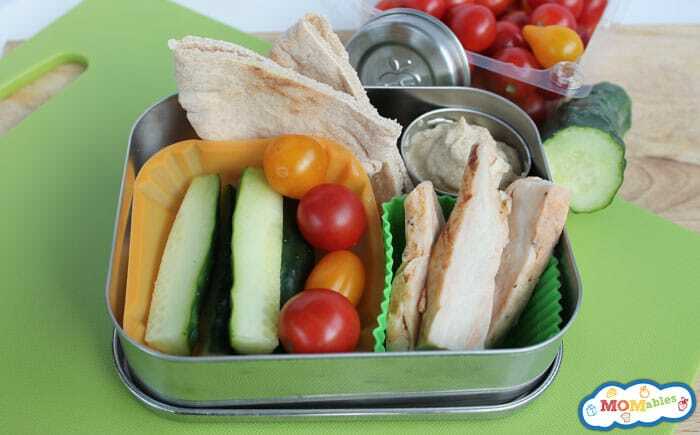 Mix in some veggies and seasoning for a colorful addition to the lunch box. 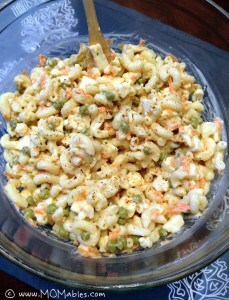 Cauliflower Crunch Salad: Prepared much like a macaroni salad but with the added crunch and nutrition of cauliflower. Top it with bacon crumbles or ham dices for added protein. For even more ideas, be sure to follow MOMables on Facebook and sign-up for our FREE newsletter!